How many years have you been an AFC Ann Arbor member? First year as a Premium member however, we have attended matches since AFC Ann Arbor was formed. Who do you come to the games with typically? 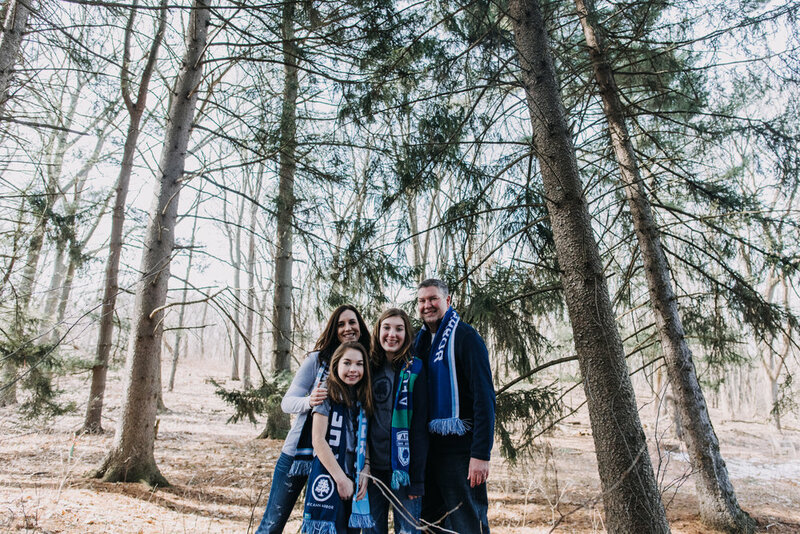 My wife, Beth...my daughters, Emma and Audrey......and frequently the parents and teammates of Audrey's Saline FC Swarm Black 06 team. Who is your favorite AFC Ann Arbor player? Why? Hands down, Leigh Rumbold. Not only is he Audrey's Coach of the Saline 06 Swarm Black team, but he is also involved as a Coach in the Olympic Development Program (ODP). 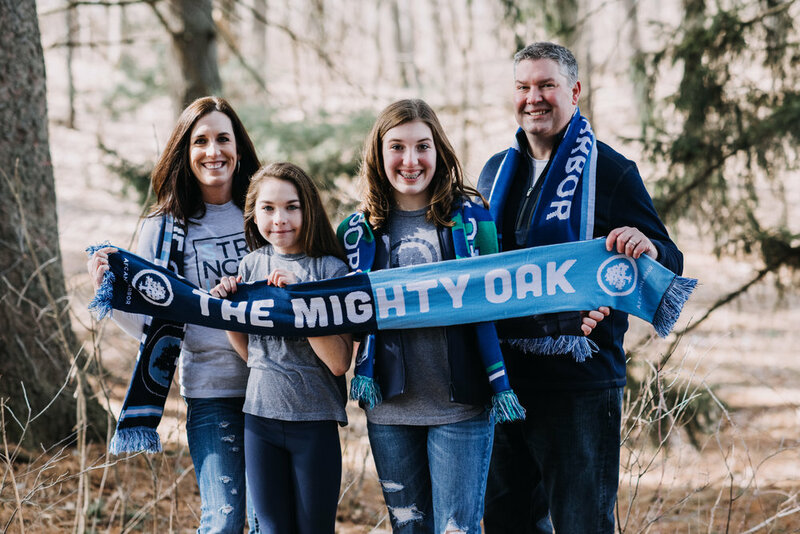 From a personal standpoint, I thank Leigh every day for introducing Audrey to the Premier League, where she watches every single match that is televised and learns the tactics needed to be successful in soccer. Leigh is one of the preeminent and best coaches in the Midwest region. Why is AFC Ann Arbor so special to you? What do you love most about the club? AFC Ann Arbor feels like a family. In this day and age, professional major sports (MLB, NFL and NASCAR) are experiencing a downturn. They are too expensive, they have players that are too egotistical, and they have completely lost the principles that make their sport "the best", whilst alienating their fanbase. AFC Ann Arbor is 180 degrees different than all the other sports. They provide a competitive, exciting experience that is family friendly and also a major bargain. 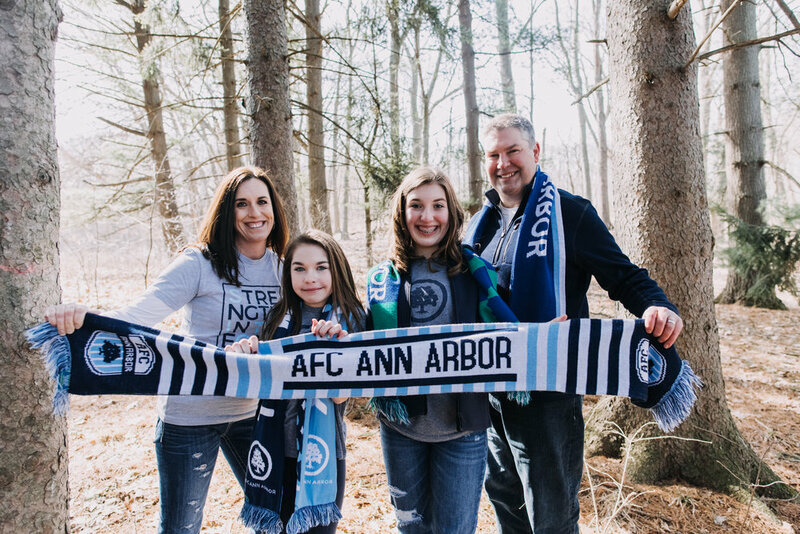 Why do you choose to support AFC Ann Arbor? How does it make you feel knowing you're helping build something from the ground up? Two words. Knox Cameron. Knox has completely and selflessly committed himself to developing young talent into not only professional soccer players, but also quintessential human beings. Every single person I have interacted with from AFC Ann Arbor has been an absolute role model to my daughters. They have been concerned with their growth as an elite soccer player, but also how they develop into an outstanding person in life.